Traditional Life Insurance which includes term and whole (permanent) life policies. Level Term life insurance provides a low cost level death benefit for a ten, twenty or thirty year period. Coverage is guaranteed all the way to age 90. 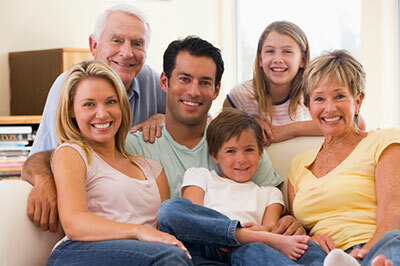 Inexpensive term insurance can be very valuable to a family or a business that shoulders the responsibility of providing the financial means to meet future obligations such as: Family Living Expense, Children's Education Needs, Mortgages, Business Loans, Business Buy/Sell Agreements, Key Person Insurance, Miscellaneous Debit Obligations. • Disability Premium Waiver: Waives all premiums due while the insured is totally and permanently disabled for 6 months or longer. • Accidental Death Benefit: Provides an increased benefit payment when death occurs accidently (as defined in the policy). • Spouse or children Rider: Provides decreasing term life insurance coverage on the insured's spouse and level term coverage on children. • Child Rider: This benefit provides level term coverage on the insured's children. Whole Life Insurance is the simplest form of permanent life insurance. It provides death benefit coverage up to age 110 and gives you access to guaranteed cash values. • Accelerated Death Benefit: This rider pays out a portion of the death benefit early if the insured is diagnosed with a terminal illness. • Automatic Premium Loan: Pays the premium not paid within the grace period by charging it as a loan against the cash value of the policy, protection the policy from lapsing. payor insured until the child is age 25. • Guaranteed Purchase Option: Guarantees the ability to purchase additional life insurance at ages 25, 28, 31, and 34, without providing proof of medical insurability. • Spouse or children term insurance: Provides term life insurance coverage on the insured's spouse and children. • Children Term Insurance: Provides term life insurance coverage on all children of the insured. Universal Life Insurance is a permanent life insurance offering the low-cost protection of the term life insurance as well as a savings element (like whole life insurance) which is invested to provide cash value buildup. Universal Life insurance allows the policyholder to use the interest from his or her accumulated savings to help pay premiums. Advantages of Universal Life; use of savings, tax advantages, cash withdrawals/loans, multiple insureds, lower cost and cash value. Thank you for your interest in Carolina Underwriters Insurance if you are ready to begin your life insurance quote click here. If you have questions and would like to speak to one of our insurance professionals please call us at either location: Matthews at 704-849-8080 or Cornelius at 704-997-8113 or via email. We are proud to serve the Greater Charlotte, Lake Norman, Charleston and Myrtle Beach areas since 1994.